“Be Bolder Not Just Older” – 2019 is the GOLD, BOLD YEAR! *Entry is through main doors on the corner of Frances Street and The Boulevard only. We invite you to meet our key sponsors in a dedicated area in the stadium, where you can sit, rest your feet and stay awhile. Morning tea refreshments will be available from 10am until late morning and served from Community Room #1. We would like to thank the Hon Eva Lawler MLA, Member for Drysdale and Mr Tony Sievers MLA, Member for Brennan and COTA volunteers including the students and staff from Palmerston Seniors College for their support of and contributions to morning tea. Thanks to Rocking Bill Roy and the Seniors Sunshine Band for the wonderful music. 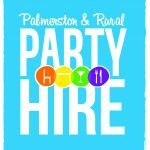 If you are staying in Palmerston for a late lunch, we encourage you to support the local businesses in Palmerston city centre. Please note all refreshments must be consumed outside of the main stadium area. All of our stallholders are listed alphabetically below. They have all helped to support Seniors EXPO through their contributions of resources, financial and otherwise, and we are deeply appreciative of their assistance in creating, supporting and sponsoring this event. At the stalls you’ll find free services on offer, information, giveaways and most importantly meet real people face to face who you can talk too about any concerns and questions. We would like to thank Malak Marketplace in particular for their support of this very special community space located in Community Room 2 of the Recreation Centre. This is the space to see local dance groups in action, hear local choirs and watch fitness demonstrations – please show your support of these wonderful groups who provide people with opportunities to socialise, stay well and healthy and to enjoy life! 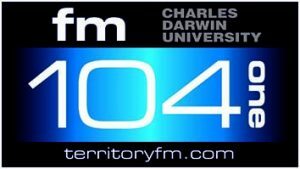 10.50am – 11.10am Top End Mustangs Inc. Please note: This schedule may be subject to change. Please refer to the Palmerston-Car-Parking-Map for details of parking zones. Important Note: The small car park off Frances Street, adjacent to the Recreation Centre will NOT be open due to outside exhibitors using the space at EXPO and the need to provide a safe bump in/pack down zone for stallholders. Thank you. All ticket machines will accept both coins and credit card payments. The machines and car parks are clearly marked with signage indicating the zone, time restriction and the applicable rate. Drivers should check ticket machines carefully to ensure they pay the correct fee and abide by the time restrictions. The purchased ticket will need to be clearly displayed on the vehicle’s dashboard. Disabled parking bays (must display valid disability permit). Whilst we understand that free parking would be ideal, we are unable to offer this. However, entry to the event is free and morning tea is also free, so we hope you won’t let a small parking fee deter you from visiting. If you are a member of a seniors’ group or receive community support services, please contact your group organiser and facilitators to see if you can have a lift to and from EXPO or pool your transport resources. Consider carpooling with friends (and sharing petrol and parking costs). Please do make the extra effort to get friends and family to EXPO who may not be able to drive themselves or use public transport. This is a community event and your support of the seniors’ community is gratefully appreciated. All public buses are free for holders of the NT Seniors Card. We urge you to use free public transport options wherever possible. 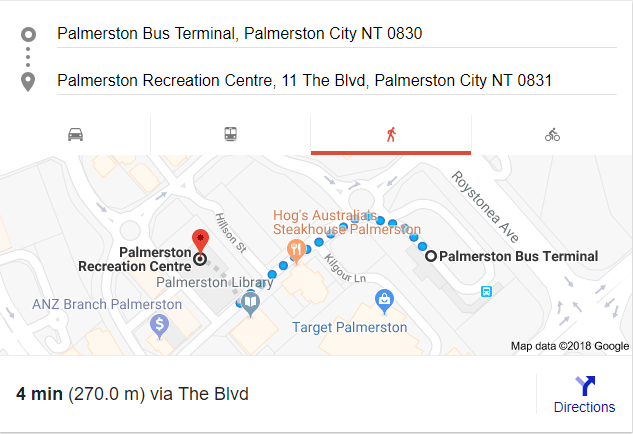 From Palmerston Bus Terminal to the Recreation Centre, it is approximately a four minute walk. Download Palmerston-Bus Terminal / Interchange map. Please contact Chair Jan Jewell 8976 0255 for more information. This Google map is also available on the City of Palmerston website. 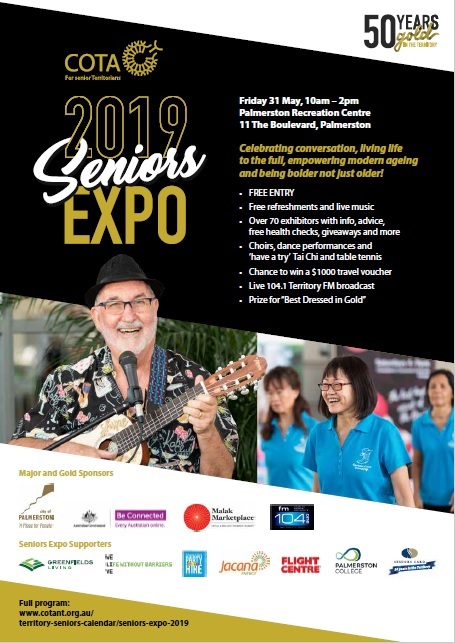 Please feel free to download the Seniors Expo 2019 Poster (A3 or A4 size) of the Flyer (double-sided A5) to share with your networks. Please note: Event information is subject to change, although COTA staff and volunteers make every effort to keep information as up-to-date as possible.